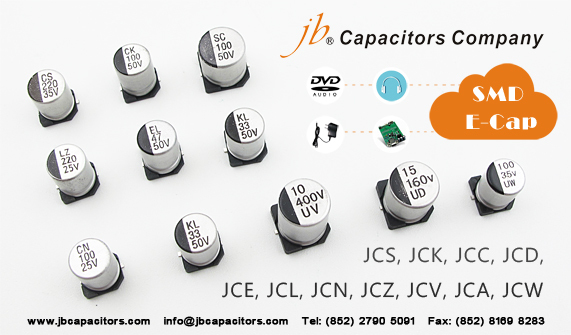 jb Capacitors Company, a global manufacturer of capacitors for wide range of different applications. 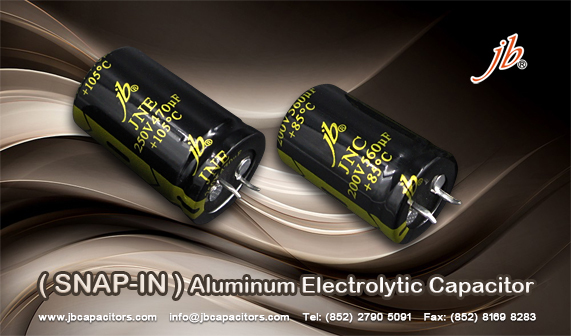 We can provide Radial, SMD & Snap-in, Screw and Lug terminals Aluminum Electrolytic Capacitors. Today, we are introducing our SMD Aluminum Electrolytic Capacitors to you. There are several series that we can produce. It can be used in high density circuit board, audio, DVD, charger, and wide range of application. Load life is available from 1000 Hours to 10000 Hours. Operating temperature can be 85°C and 105°. Moreover, jb’s can meet +/-10% Capacitance Tolerance in several series. Significantly, stable quality is one of our great value to offers better products than other companies. As a single-minded proposition from a buyer perspective, jb is providing great protection of customers, within capacitors industry while saving cost and enhancing reliability. Below is the list of our series of SMD. Contact us for more information. jb invite you to enjoy the most exciting game FIFA world cup. jb also share with you that we have very special price promotion for SMD aluminum electrolytic capacitors during FIFA world cup period. We have wide range offer for you: Long life (10,000 hours), Low impedance / leakage, Bi-polar type etc. Hot products: JCS 2,000hours 85’C, JCK 1,000~2,000hours 105’C, JCZ 3,000hours 105’C extra low impedance. Contact us with your inquiry, you will receive unequalled good price from us! Hello, are you looking for SMD Aluminum Electrolytic Capacitors with a more competitive price? 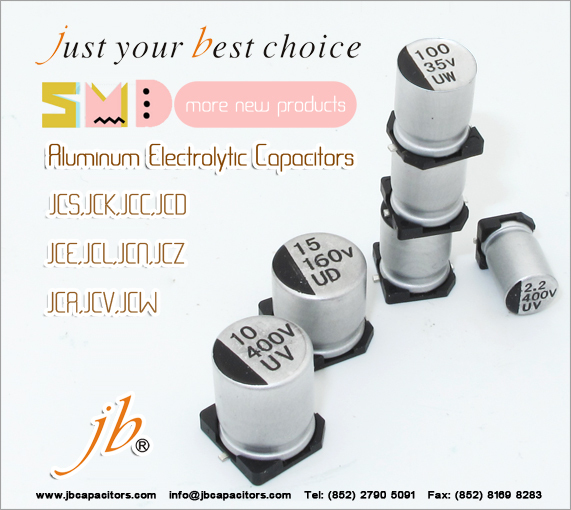 Here, jb Capacitors – Just Your Best Choice. We provide SMD E-Cap 85℃ / 105℃ with different size and long life assurance (1,000hrs ~ 10,000hrs). It can be used in telecommunication products, set-top box, home appliance, car audio amplifier, etc. I believe you have also heard that E-Cap has raised prices in the Chinese market recently. Do you encounter such as trouble? Please contact us quickly! 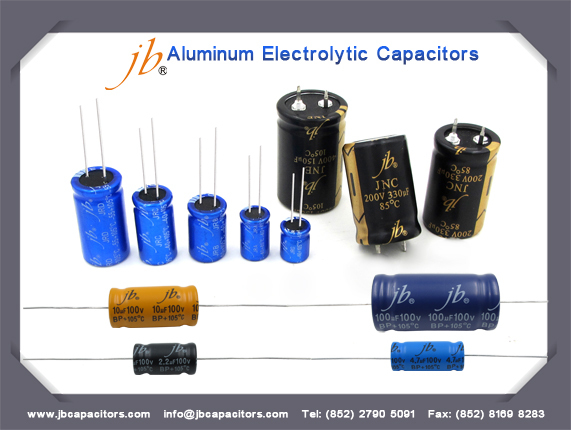 jb Capacitors can help you find the higher quality, attractive price, lower MOQ. Please take the opportunity to send your RFQ to us, I will absolutely quote our best price for you. We offer SMD capacitor with competitive price and good quality. Recently, we renewed our production line. So we can manufacture more new kinds of products. Following is one of our new series—JCW. 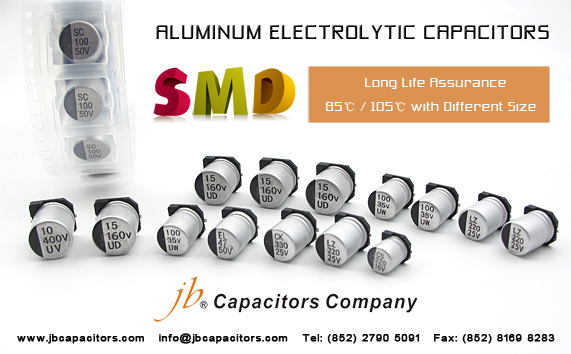 Are you looking for a long life SMD capacitor? Please feel free to mail us your inquiry. We will try best to offer you our favorable price! -Comply with the RoHS directive. 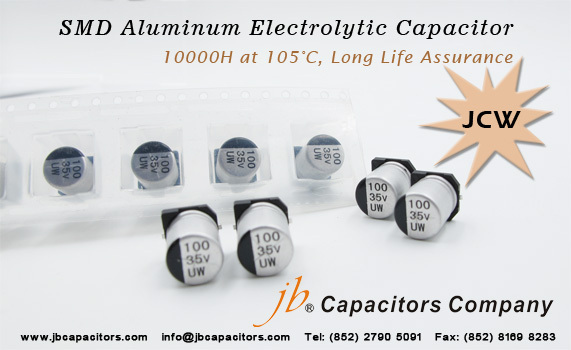 jb Capacitors Offer Competitive Prices Before Chinese New Year! 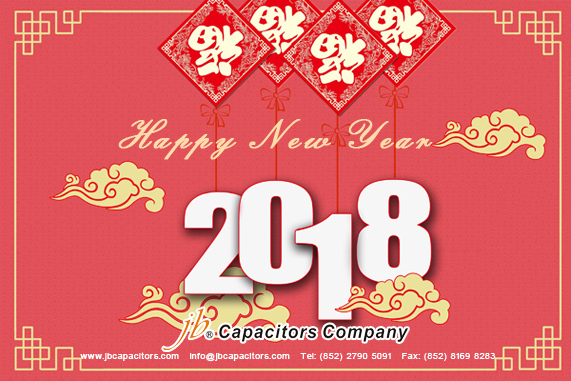 jb capacitors company will have another wave competitive prices in January, please check and send us your RFQs/Orders/Forecast of capacitors, you will receive very satisfied offer from us. We have special offer for below SMD Aluminum electrolytic capacitors, we extended product range, added more new products in our production line, please visit our website to know more our products information. Elektrolitik kondansatorlerde dielektrik madde olarak asit borik eriyigi ya da borakslı elektrolitler bulunur. İletken levhalar ise aluminyum ya da tantalyum plakalardır. Elektrolitik kondansatorler, kutuplu ya da kutupsuz olarak uretilirler. Kutuplu olan kondansatorler DC devrelere baglanırken artı ve eksi uclara dikkat edilmelidir. Yanlıs yapılan baglantılarda anotta bulunan oksit tabakası metal yuzeyi kısa devre edip, yuksek ısı olusumuna ve kondansatorun patlamasına yol acabilir. Elektrolitik kondansatorler sıvılı tip ve kuru tip olarak ikiye ayrılır. Sıvılı tip elektrolitik kondansatorler sadece DC devrelerde kullanılabilen, pozitif levha olarak aluminyum barındıran kondansatorlerdir. Bu tip kondansatorlere DC akım uygulandıgında, pozitif levha üzerinde yalıtkan bir oksit tabakası oluşarak dielektrik gibi davranır. Olusan bu tabaka cok ince oldugundan kondansatorun kapasitesi yuksek olur. Kuru tip elektrolitik kondansatorlerde ise elektrolitik sıvı yerine boraks eriyigi emdirilmis kagıt ya da bez kullanılır. Elektrolitik kondansatorlerde bulunan elektrolitik sıvısı asırı sıcak nedeniyle zamanla kurumaya basladıgından, kondansatorun kapasite degeri dusebilir ve bu durum hassas devrelerin calısma sisteminde arızalara neden olabilir. 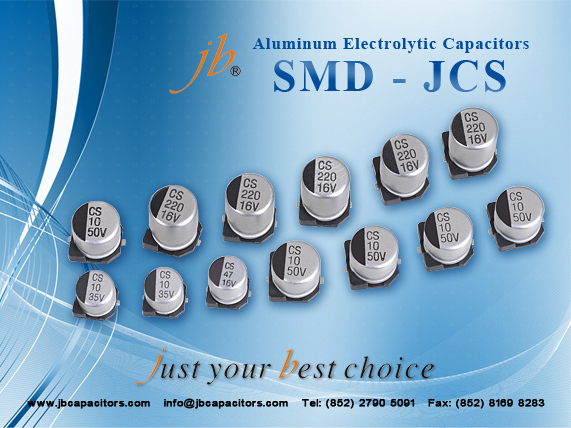 Since 2005, jb Capacitors Company has been specialized in production of Aluminum Electrolytic Capacitors, today we would like to introduce you JCS - the hot seller of SMD Aluminum Electrolytic Capacitors. SMD E-Cap looks tiny and special, they can be widely used in so many ways, they’re much easier to place using automated assembly equipment. JCS is round type, it has the greatest quality and favorable price, also short lead time. You can see the specification form down below.